Innovative new program uses 401(k) employer matching dollars to pay student loan debt. 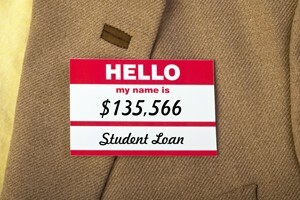 March 07, 2019 — CLEVELAND–(BUSINESS WIRE)–Student loan debt is having a tremendous impact on millennials’ lives. It is influencing where employees work, and how they live and spend their money. College graduates with student loans want help from employers tackling this issue. Employers are getting the message. To hire and retain college graduates, companies are adding student loan assistance programs. The challenge to employers is providing meaningful assistance without breaking the bank… and the headlines tell the tale: student debt is a national financial crisis. Student loan debt is a crisis affecting 44 million Americans worth $1.5 Trillion and impacting 70% of new college graduates. Cutting-edge companies are adding student loan assistance programs. Assistance programs available today add significant costs for employers. Thrive has a unique budget-neutral solution for companies enabling employees to make contributions and use 401(k)/403(b) employer matching funds for student loan repayment. Thrive helps innovative employers to hire and retain top talent without increasing costs. « Are There Financial Benefits To Having A Tech-Savvy Board?